Russian capital Moscow will host "Turkey Festival" on June 16-18 at Krasnaya Presnya Park. 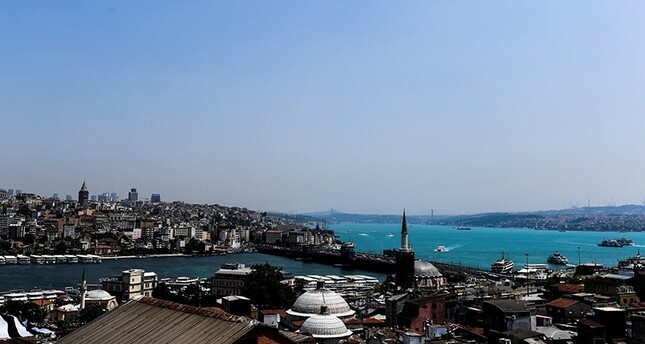 Models of Topkapı Palace, Grand Bazaar and the July 15 Martyrs Bridge were set up at the festival area, which is located on an area of 165,000 square meters. The festival, on which both Turkish and Russian artists will take stage, offers literature conversations, fashion parades, gastronomy shows and Turkish handicrafts exhibitions to visitors. Throughout the festival, several tourism resorts and cities like Istanbul, Antalya, Muğla, İzmir, Aydın, Nevşehir, Gaziantep, Adana and Mersin will present their cultural values and touristic richness. With a jam packed three-day program, so to speak a small Turkey is ready to welcome visitors with numerous cultural and arts activities. Those who are willing to experience Turkish cuisine will have the opportunity to taste local dishes at the Adana and Mersin booths. In addition to the performance by the Ottoman Janissary band, Turkish folk dancing group along with the Karagöz shadow play, Ottoman dresses parade and oil wrestling contest, Russian artists Maksim, Mitya Fomin and Vremya i Stekla band will take stage throughout the festival. Speaking to Anadolu Agency (AA,) festival coordinator Zelimhan Zarmayev stated that they are expecting between 100,000 and 150,000 visitors in three days. Zelimhan further stressed that the Russian press is showing a great deal of attention to the festival and added, "We think that it would be a successful presentation for Turkey. It will be the first and biggest organization held by a foreign country in Russia's history."